"Through endurance we shall conquer," is the Renzo Gracie motto. It is a motto he not quotes frequently, but he lives by it as well, especially when it comes to MMA. A Brazilian Jiu-Jitsu expert and successful MMA fighter, Renzo has deep roots in the martial arts, born into the notorious Gracie family. He is a sixth degree blackbelt in BJJ. is his cousin and he is the nephew of Carlos Gracie, Jr. who is a fifth degree blackbelt and grandnephew of Helio Gracie. 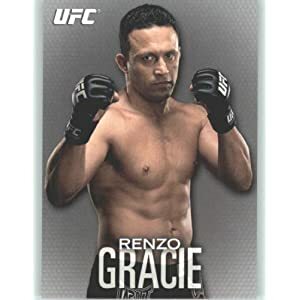 His brothers, Ralph and Ryan are noted MMA fighters and he himself is a black belt under Carlos Gracie, Jr.
Born in Brazil on March 11, 1967, Renzo has beat such former UFC champions as Frank Shamrock , Carlos Newton, Maurice Smith, Oleg Taktarov and Pat Miletich. Luiz Augusto Alvaredo was Renzo's first MMA opponent in his professional career. The event was called Desafio- Gracie Val Tudo in Brazil and was held on January 1, 1992. Renzo debuted in style with a win seven minutes and three seconds into round one via submission by rear naked choke hold. It was February of 1995 before Renzo entered the octagon again. Up against former Olympian and retired Judoka practitioner from the Netherlands, Ben Spikers. This was at the tournament WCC 1- First Strike event, Renzo won again 2:38 in the first round with a submission via choke. Renzo Gracie also won the next two fights in the tournament against Phil Benedict and James Warring. It only took one minute and two seconds for Renzo to defeat Oleg Taktarov by knockout on November 22, 1996 at Mars (Martial Arts Reality Superfighting) which was held in Birmingham, Alabama. Ten months later on September 27, 1997, Renzo fought family rival Engenio Tadeu at Pentagon Combat 1 in their home country, Brazil. The bout ended in No Contest because the fans broke out in a riot. The following month Renzo Gracie faced off with Japanese fighter Akira Shoji in Pride 1 in Tokyo, Japan. Ten minutes into round 3 the fight ended in a draw. Pride 2 was held in March of 1998 in Yokohama, Japan. Renzo took on Sanae Kikuta who he defeated by submission via guillotine choke in the sixth round. November of 1999 Renzo Gracie entered the ring against professional wrestler Japanese martial artist Alexander Otsuka. Renzo won by submission. December 22, Renzo entered the tournament style event, Rings King of Kings 1999 which began with "Block B" held on the first night. He was victorious in both fights, one against Wataru Sakata and one against Maurice Smith. Both were won by submission. Just as Renzo was enjoying his winning streak, he lost his next fight in the tournament against Kiyoshi Tamura. By unanimous decision. His next fight would fare equally as bad. Renzo lost in Pride 10: Return of the Warriors held on August 27, 2000 when he was taken by technical submission via kimura by former professional Japanese wrestler Kazushi Sakuraba. Pride 13- Collision Course would turn out to be exactly that for Renzo. Dan Henderson won against him via knockout in the first round. November of 2001, Renzo Gracie managed a come back at Pride 17- Championship Chaos. Facing off with Michiyoshi Ohara, Renzo won by unanimous decision five minutes into the third round. The come back did not last long, however. By June Renzo was up against Judo and Samba fighter Shungo Oyama at Pride 21: Demolition. Five minutes into the third round Gracie lost by unanimous decision. Canadian Carlos Newton was the next to get a piece of Renzo at Pride Bushido 1 on June 23, 2003 in Japan. Newton won by split decision in the third round. The K-1 World Gran Prix 2005 was held in Honolulu, Hawaii on July 29, 2005. It involved ten fighters from North America and Japan. Renzo took on American MMA and BJJ artist B.J. Penn for the Super Fight and lost 5 minutes into the third round via decision. One year and two months later, Gracie was back. At the IFL: Gracie vs. Milietich where he went up against Pat Milietich who hails from a karate and boxing background. It took only one round for Gracie to submit him into a gullotine choke hold to win the fight. The next fight was a win as well, a welcome change for Gracie who had suffered all too many losses. The event was IFL: World Team Championships and it was held on December 31, 2006. The fight was a rematch with Carlos Newton who had defeated him in August of 2003. This time it was Renzo who would shine with a split decision five minutes into round three. On February 10, 2007 the MMA promotion, EliteXC debuted. Gracie went into the ring against Frank Shamrock who was the first winner of the UFC Middleweight Championship. Once Gracie got him to the ground, Shamrock landed illegal knee strikes which disqualified him. Although Renzo won the fight, he had to be helped out of the Octagon due to a concussion he received from the strikes. It would be three years before he would return to the sport and when he did, it was through the UFC. 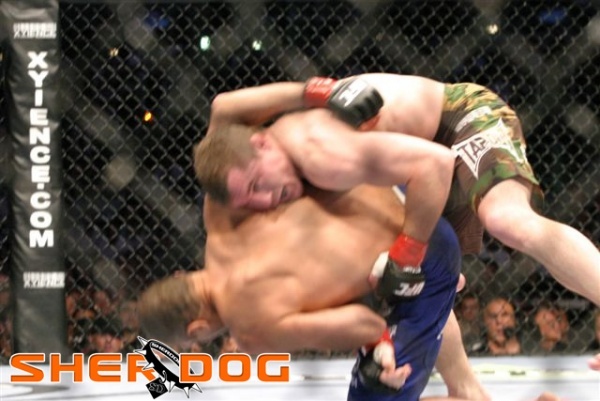 Up against the UFC Welterweight Champion, Matt Hughes, Renzo fought in UFC 112 on April 10,2010 in Abu Dhabi in the United Arab Emitrates. Although Renzo rushed into the fight with punches keeping Hughes busy dodging, the fight began to take a turn and not to Gracie's favor. Round two went to Hughes though it could have just as easily been a draw but then Hughes began to put the pressure on and Gracie did not fare well under the gun. By the end of the fight, Gracie was rescued by the referee and Hughes won, TKO. After the fight, UFC President Dana White said, "Renzo Gracie is one of the good guys in MMA, But he looked old tonight". Gracie is the head instructor at the Renzo Gracie Academy in Manhattan where many well known BJJ and MMA fighters have sought him out for their personal training. Some of those fighters include: BJJ black belt Rodrigo Gracie, current UFC Welterweight Champion Georges St-Pierre, former UFC Welterweight Champion Matt Serra , former BJJ World Champion Rafael "Gordinho" Correa, Paul Creighton, former Middleweight King of Pancrase Ricardo Almeida, Sean Alvarez, Alan Teo, Mike Codella, Carl Massaro, Shawn Williams,Gabe Koura, Chad Lebrun and GRACIE Magazine founder Luca Atalla. Renzo has other accademies as well, in not only the US but Singapore, Canada, South Africa, Isreal and Mexico as well and has personally taugh Jiu Jitsue to Sheikh Mohammed bin Zayed Al Nahyan, Crown Prince of Abu Dhabi, since 1993. 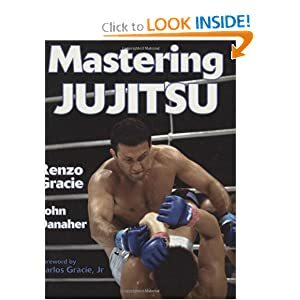 Gracie has co-written two instructional books on Jiu-Jitsu. 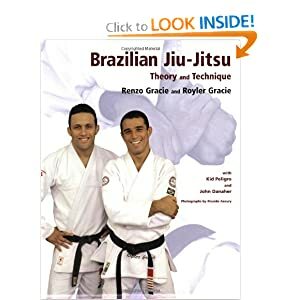 One he wrote along with his cousin, Royler Gracie entitled "Brazilian Jiu-Jitsu: Theory and Technique" . The other,"Mastering Jujitsu" , he co-authored with training partner John Danaher. "Renzo Gracie Legacy" is a documentary released in 2008 which followed Gracie over 10 years of his life. The DVD was only released on Amazon.com and www.renzogracielegacy.com. He and his wife, have three children, Catarina, Cora and Ruran and live in New Jersey. Renzo has eleven brothers and sisters. What does the future hold for Renzo? After three years of not fighting only to return to a loss from Hughes, some say it is the end. Yet others hold to the hope that he will get back in and take what is rightfully his. But no matter his future as a fighter, Renzo Gracie and his family have done so much for the sport of MMA. They have help make it what it is today. His accademies, personal training and instructinal books alone continue to contribute to so many that indeed, the legacy will live on, regardless!